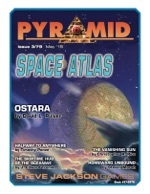 If we're ever to dwell among the stars, the odds are good we'll be using spaceships. 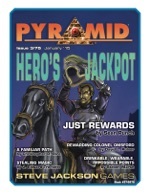 Fortunately, this month's Pyramid will help ensure you're not caught empty-handed and star-struck! 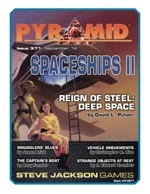 This armada of adventure includes "Reign of Steel: Deep Space," where GURPS Reign of Steel author David L. Pulver takes that setting nearly two decades into the future . 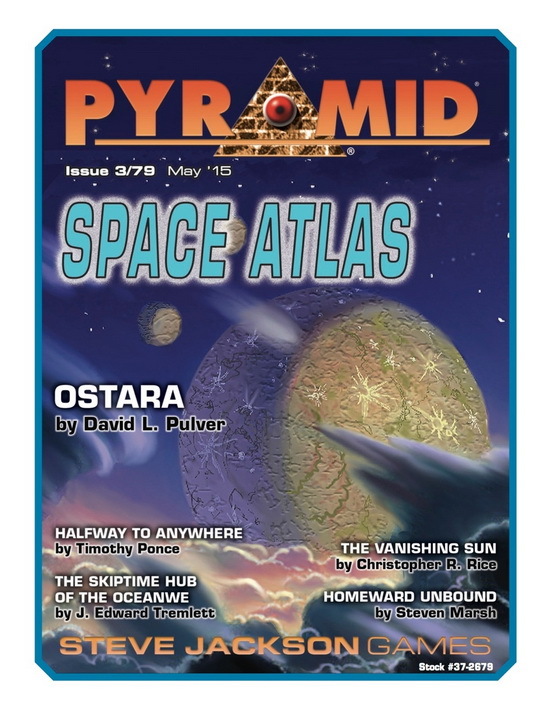 . . and deeper into space. 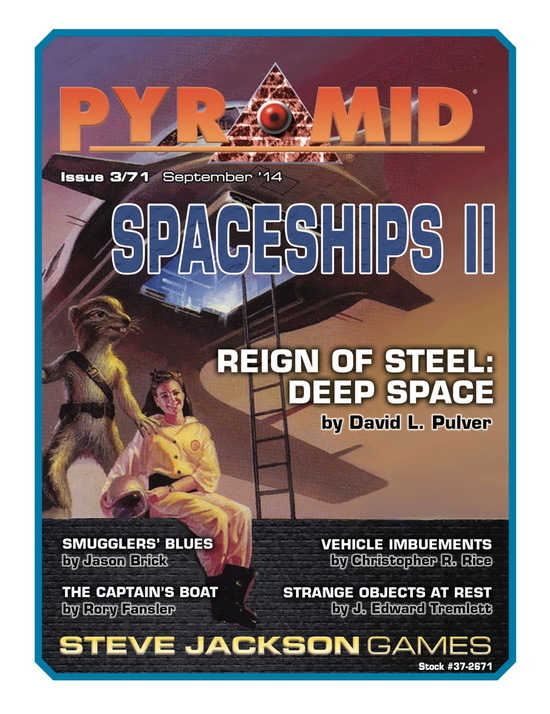 Learn about spaceships (in GURPS Spaceships format) from the various robot factions and get an extensive look at the desperate world of 2064. 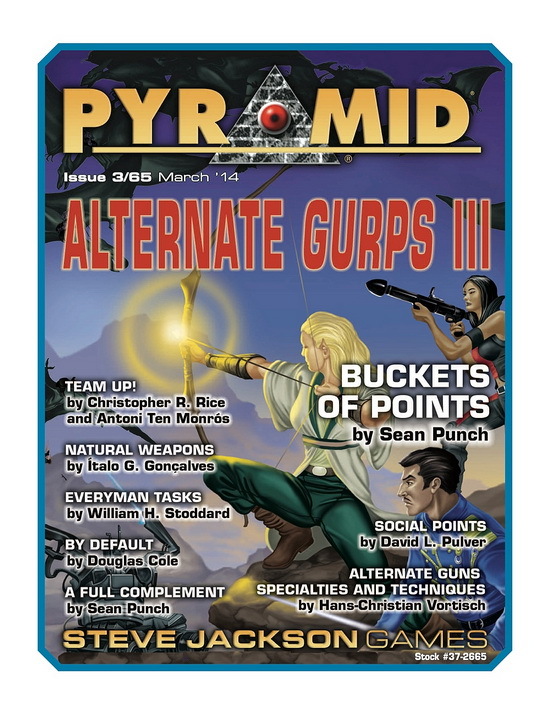 You can do anything with GURPS . 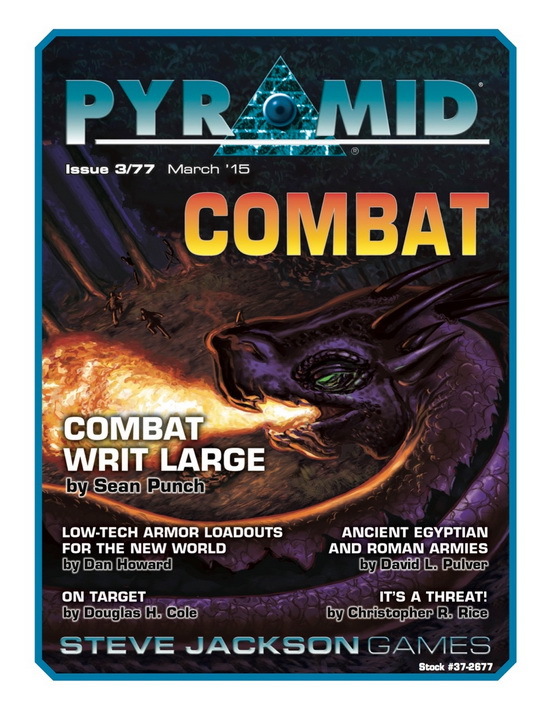 . . but sometimes, you want to push the envelope even more. 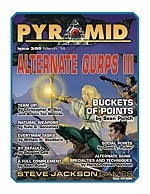 This month's Pyramid offers new GURPS character-creation options, rules you can use, and ways to work together like never before. 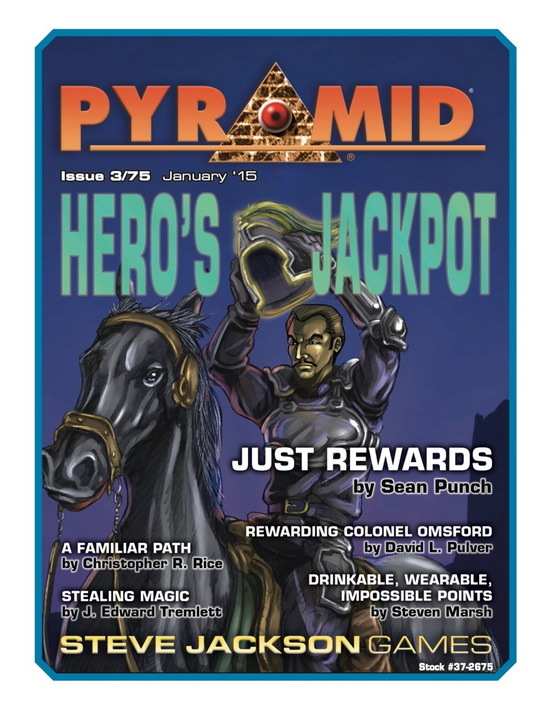 This game-tweaking issue includes "Bucket of Points," GURPS Line Editor Sean Punch's innovative new way to look at character creation that lets the GM have balance and versatility. The world of tomorrow comes into focus again, as countless near-future possibilities coalesce in front of your eyes. 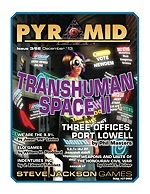 This month's issue of Pyramid takes a look at the Transhuman Space setting. 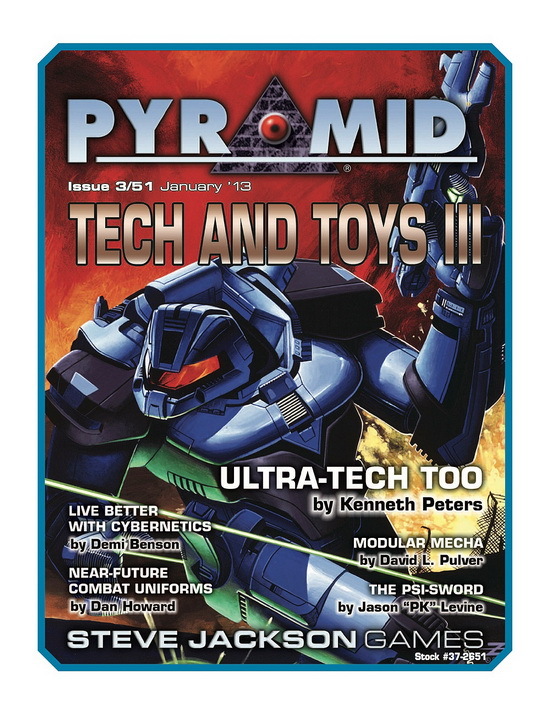 The latest installment features "Three Offices, Port Lowell," which explores a handful of the factions active in a bustling Martian town. 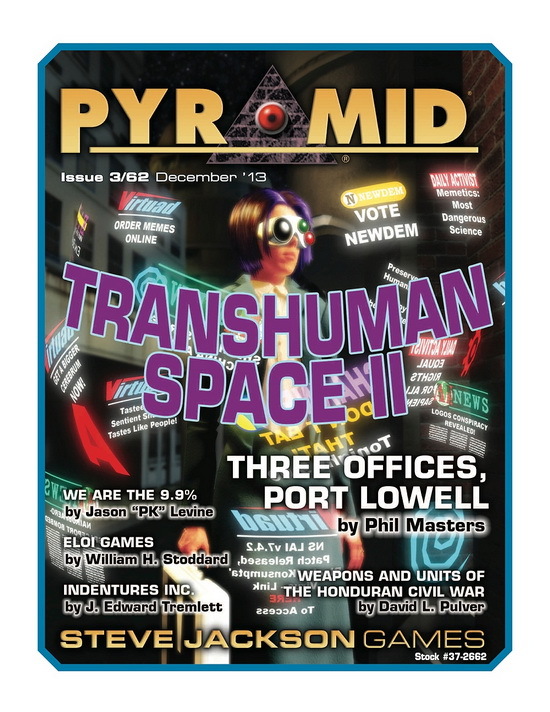 The Transhuman Space Line Editor, Phil Masters, gives details on a few of the key people (including GURPS stats) and places likely to make the lives of residents and visitors very interesting. 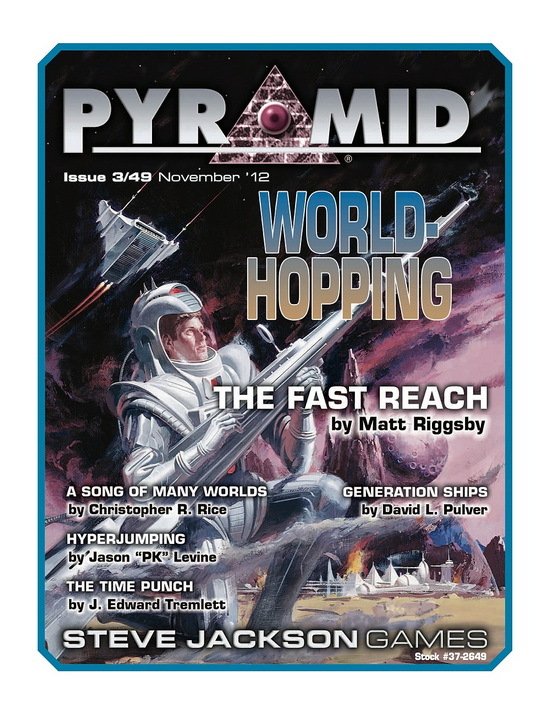 Alert the troops; we're exiting hyperspace! 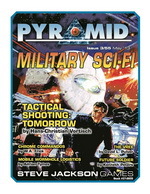 This month's issue looks at the future of face-to-face combat. 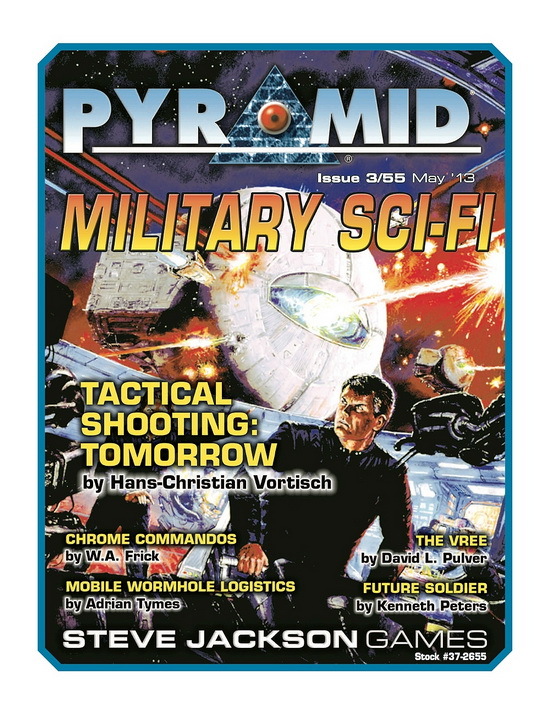 This issue's intel includes "Tactical Shooting: Tomorrow," an optional extrapolation of GURPS Tactical Shooting by that volume's specialist, Hans-Christian Vortisch. 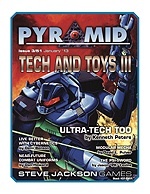 Pulling in material from GURPS Ultra-Tech and GURPS High-Tech, this feature looks at all aspects of TL9 tactical combat, including stats for equipment, two new GURPS techniques, and two new gun-fighting styles. You don't need to be an expert extrovert to play one in your game! 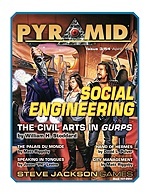 This month's issue is devoted to all aspects of interpersonal relations, especially as detailed in GURPS Social Engineering. 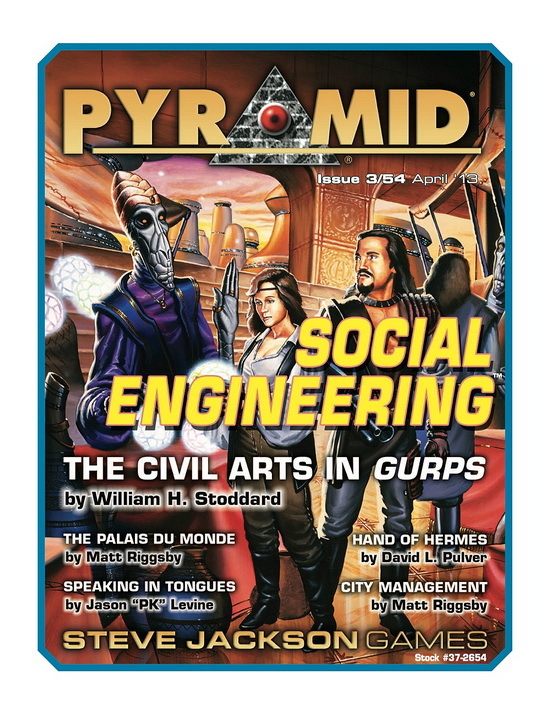 This issue's "talking points" include "The Civil Arts in GURPS," an optional expansion for Social Engineering by that tome's author, William H. Stoddard. These techniques and styles could be just what your adventurer needs to improve his personal encounters.